I am happy to share with you that Sri Bhagavan called me suddenly to Arunachala. I had planned to do girivalam through the inner path. I had been planning to do this for some time now. Bhagavan fulfiled my wish at last. I left for Arunachala on Monday night and reached there as early at around 3:30 in the morning, therefore my plans to halt at Sheshadri Ashramam was not possible, I took a room at Swathi Lodge near the main temple Gopuram. It is decent Lodge. After having the darshan of Matrubhuteshwara shrine, Bhagavan's sannidhi and sitting for some time in the Old hall. I prayed to Bhagavan about my intentions. it was around 6 in the morning, the office had not yet opened. I wanted to enquire with somebody about doing the inner Girivalam. I looked around but found only the Temple Gurukkal (priest) who was drawing water from the wellI went towards him and asked him about doing girivalam through the inner path and he asked me, "are you going alone or with ladies?" I replied that I was going alone and he said, â€œyou can go alone, no problem, but if you are planning to go with ladies then it is best to go in a group". He also mentioned that one Chandra Mouli from the Ashramam office goes often through the inner paadai, and I went near the office area. But i did not find any body there. I pondered for a moment on what to do do... and then I took a decision, that having have told Bhagavan about my intention, and going by the gurukkal's advice, it seemed that I was given permission to go alone. I left to do the girivalam myself. I went through the gates that lead to the hill, to skandashramam , Virupaksha cave and the inner paadai. I simply followed few people inside and they deviated to skandashramam and i was left alone as I had to take the left turn to girivalam. I remembered Bhagavan and went inside. I followed few people inside and they deviated to skandashramam and i was left alone as I had to take the left turn to girivalam. I remembered Bhagavan and went inside. I have no words to describe my experience. It was such a wonderful time, so beautiful, serene and peaceful. I was alone. I prayed to Bhagavan not to test me in any way, as the previous time I encountered a dozen huge monkeys on my way to Skandashramam when i was alone and they tested me nearly for 45 minutes before finally Bhagavan saw me safely to Skandashramam! The path is very comfortable for the first half and thereonwards the path gets tougher with small, tiny stones that really hurt if you are doing barefoot. 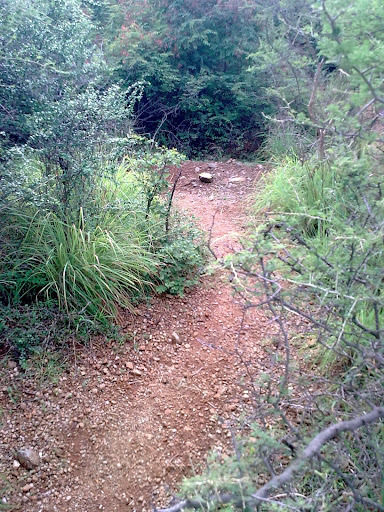 The path is very clear and i had no confusion throughout my journey. 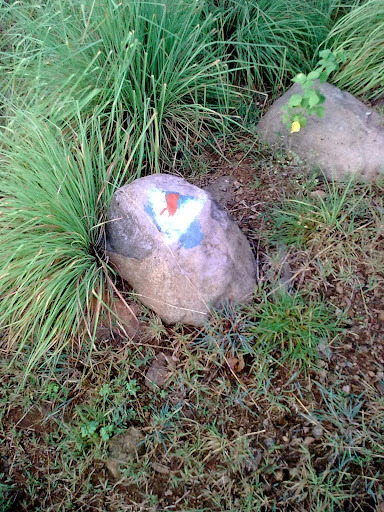 Some blessed souls have taken time to paint the stones in white-red colour and white-yellow colour throughout the path. 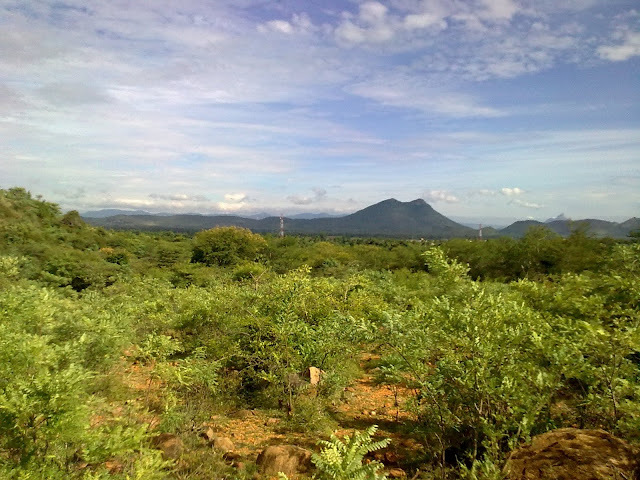 To see Arunachala at such close proximity is indeed a breathtaking experience. On my way, I stopped at some place where they are developing a park i think, there was an artificial pond, the place was very beautiful. I stopped to take some snaps and i went near the stone slabs which are made to sit. i was surprised to see Ramanashramam guest house key. i looked around and there was nobody around. i took it with me so that i can safely hand it back to the office ashramam. The path was pretty ok. There is considerable difference between doing the Girivalam on the outer road and the inner path. It was extremely peaceful here. 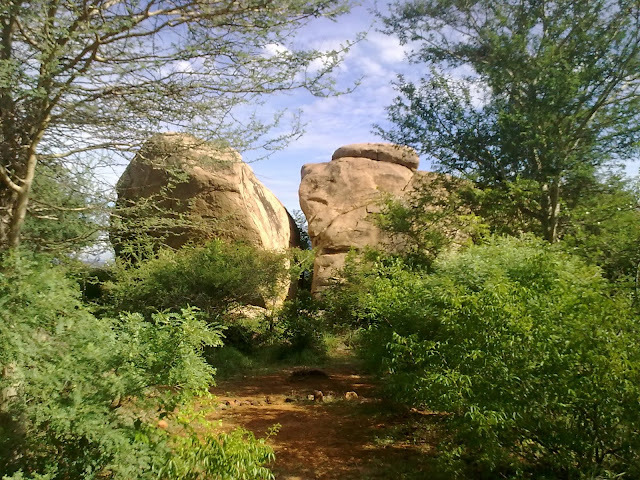 As long as the stones were marked with white-red colour, it was comfortable to walk, even barefoot, but after about half the distance, when the path is marked in white-yellow colour, it is very tough! There are very small stones that are very sharp, one can simply see the stones and guess how old they could be! It felt that they had been sharpened over thousands of years. I had a very tough time walking this stretch. Then I sat on a small stone slab for a while, gazing at Arunachala. There was absolutely nobody around. For sometime, there was a harmless dog which came along with me! It walked behind me for sometime, very active, wagging its tail. After a while, the dog went inside the trees and vanished. I had not wanted to take a snapshot of the dog and drive it away, but it went off on its own accord. I was left alone. The stones were really hurting my feet and my pace was reduced to that of a very old aged man walkingâ€¦ talking baby steps. By now slowly the sun had risen well enough and the stones were getting hot. It was around 8:30! 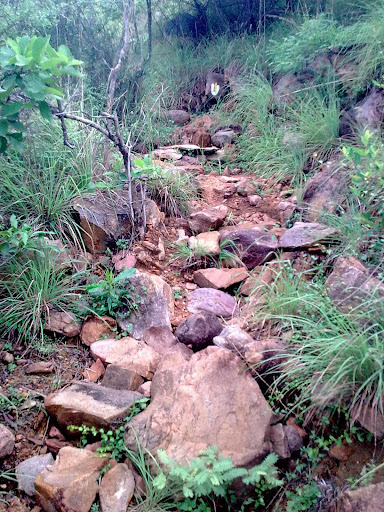 At one stretch, i had to climb up the hill, where the path was full of stones, big and small. â€˜This stretch is the toughest of the entire journeyâ€™ I thought! Then at around 9:00, there was one boy whom I came across, I asked him about the distance from that place, he said, still there is about 3 kms. I proceeded further for another kilometer and then I was able to hear the sounds of the traffic. I felt the road was not very far off from here. The path still continued with small stones. I was thinking I should have got my slippers (at least new ones). At one stage I could no more walk over the stones so I deviated into the bushes and trees leading towards the road, thinking that I could complete the girivalam from the road. But the roads and the footpath were also burning hot. It was 9:30. I prayed to Arunachala to forgive me for I was unable to complete the girivalam through the inner path or outer path, I took an auto and reached Ramanashramam. I had not even taken water on my journey. I had forgotten about it in my excitement. Then I had some cool drinks and went straight into the old hall and sat there, at around 10:00 I think! Thatâ€™s all I remember. I sat unmoving until I heard the bell ring, then everybody in the hall went out excepting for a select few. It was a lunch time bell. I continued to stay there for another hour or so. I went to samadhi hall, and stood for some time and then went to the Ramashramam office and returned the Ashramam keys telling them where I had found them and went to Sheshadri Ashramam canteen and had lemon rice and then left for my room. I took some snaps from my mobile. I shall paste few here. These are the marks that are painted in White and Red colour, appear throughout the inner path. I never got lost anywhere. 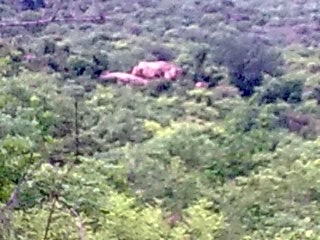 I had seen such images only in the Arunachala Live camera. here I am seeing it all by myself. Its wonder of wonders to see it with your own bare eyes! The path gets tougher when the markings turn white and yellow. These rocks were beautiful. was wondering if there were any caves around, but i did not venture doing anything as i was alone. These small & tiny stones teach you the lesson of your life, Patience and Endurance. I looked back to see where from I came, who knows? and thats the question of our lifetime. But thats the picture, I had come through those dense trees and Bushes. No clue where i came from. Thanks for giving beautiful pictures of Arunachala. People say when you take a giri valam some siddhas would accompany in disguise mostly like dogs. You are very lucky to see the dog. He must be a siddha. People who take a journey to Kollimalai or Chathuragiri they see a dog who will appear and guide you. Sometimes dog would stand for your arrival. After reaching some point suddenly it will disappear. Each trip would be a new experience when you go to girivalam. Keep it up. Very inspiring, to say the least. Seeing the pictures itself is a great joy for me. Such opportunities come only rarely in life, especially for those who do not stay at Thiruvannamalai. Some may think ,what is there, anytime we can go and do Girivalam, however it does not happen like that; some or the other events in life holds one back and without God's grace one does not get a chance to go to such places, let alone do inner Girivalam. It was really very nice, the grirvalam is still so fresh in my mind. Ramanaduliji, I just pray you words are true, that the dog was really some Siddhar, and yes Silentgreenji, I have been planning for years, I never knew even couple of days back that I would go to Arunachala, it all happened suddenly and he called me this Tuesday and how much specialer it could get, to do girivalam through the inner path. Excellent reporting about your girivalam and equally excellent photographs. You must be really fortunate to do that inner girivalam. girivalam [by road] completely. It is a nice remembrance of a wonderful day and event. Thanks. who developed the inner path single handedly appeared before me with his wife and told me how to proceed further. greatest experiences in my life. it is beneficial for meditation on such occassions at holy places like that. Persons like me, who still have a long way to go in terms of controlling my mind and its vagaries, such tough girivalam is needed to quieten my mind and my ego. Really sir, for persons like you, simply doing the pradakshanam around the Samadhi Mandir of Bhagavan would itself suffice. Its the same old story of Murugan and Vighneshwara trying to win the Mango fruit. Murugan circumbulating the whole world and Vighneshwara simply circumbulating his parents and winning the fruit! Actually, if I look back and see my own trip, it is quite surprising as to how I did it and also alone! 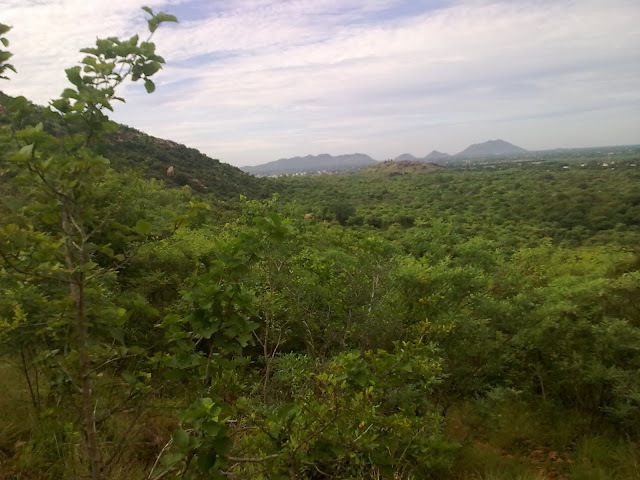 For most part of my circumbulation, there was no body, absolutely nobody, I just had the sounds of birds chirping all along, and off course the trees dancing with the breeze from Arunachala. Bhagavan should be laughing at me. I walk 108 steps. Then I get into the car. Drive for sometime. Then I get up and walk 108 steps. Like that I complete the girivalam! Bhagavan also, I remember, told someone, to take a bullock cart, walk some distance, and cover the girivalam by getting into bullock cart, whenever he or she gets tired and thinks it is not possible any longer. two or three times, on everyday that I stay in Tiruvannamalai. in slow steps, almost for an hour. How fortunate he should be! Dear Subramanian,i like people like you walking like that.Probably our devotion to hill that counts finally. bullock cart,then walk again for sometime,again doing bullock cart pradakshina but he is a highly devoted man. He has done like that because he is not so physically fit to do the entire pradakshina by walking. are there all along.It is one of the best pradakshina i enjoyed in my life getting soaked in rain and grace of the hill. I performed Giripradkshina with my wife only. Sir, on both occasions, my wife had to attend to natural calls. 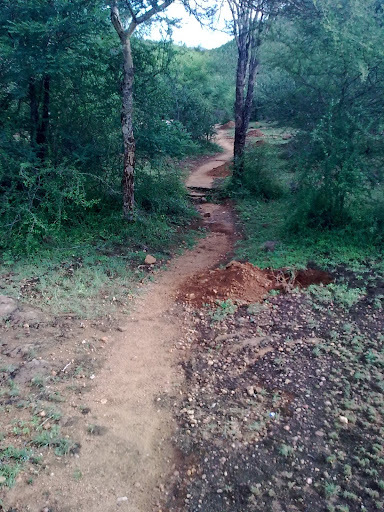 the shorter route close to the Sri Arunachala when we approached the township. Now sir, I wish to know what are the proper ways to perform it ? Very Nice pictures! Really wonderful. Dear Anilkumarsinhaji, I shall say a few words of the very little I know. To what extant Bhagavan takes care of his devotees is unfathomable, I have done girivalam several times on the outer road. Usually I make sure that I don't fail to visit Adi Annamalai Temple to have the darshan of Arunachala. Somehow, the incompleteness in having a proper darshan at the main Arunachala temple gets fulfilled here as the main temple is always very crowded. Here one can have darshan of Arunachala to our heart's content! 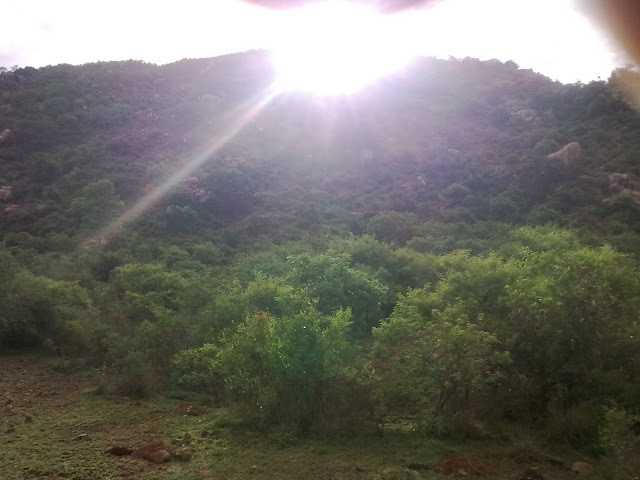 Coming back to Bhagavan and his unfathomable care to his devotees, during one of my girivalam (I usually do it alone) I too was faced with this problem of attending to natures call, but what to do, it was very early in the morning, the sun was still just rising. I was wondering where in the heavens would I find a public toilet here! So thinking, I kept praying to Arunachala Ramana... "O Lord, what is not here in this Arunachala? there is said to be a celestial city inside the Hill and a place with so many sages, saints and Siddhars... But there is no public toilet here!" I asked and kept mum! Actually, if we delve deep into the core of doing girivalam properly, all say the same thing. 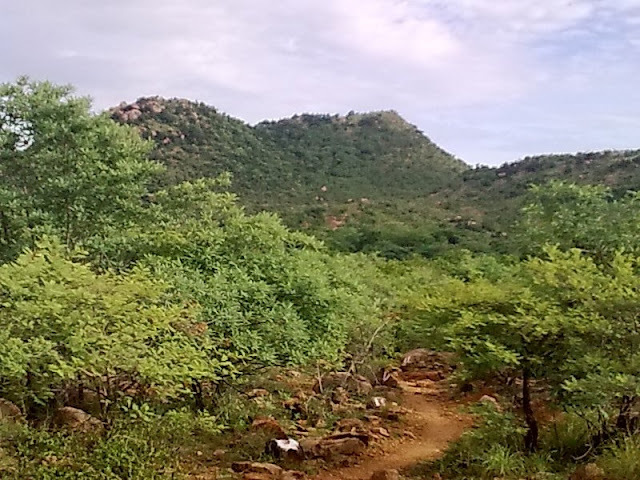 In Arunachala Mahatmyam, it is said that one should do the Girivalam like a pregnant woman walking slowly with small and tender steps on the mother earth and so that the baby inside the womb is not disturbed, thus focusing inside, looking at the Self, one should perform the Valam or circumabulation . There are several stone markings on the road, where Nandi and Padukas are present, those are special places to have the darshan of Arunachala. The basic thing is to be as alive as possible. Not just do girivalam thinking about something else in our mind. The Lord is Pratyaksha there. Shiva is there Really, that Hill is Him. This Bhaavam should be there. I usually prefer doing it in normal days, I avoid purnima, as there would be tooooo much crowd. One does Bhajan, sing Arunachala Shiva, Some do Rudram Chamakam, Vishnu Sahasranaamam, etc... throughout. I have seen Foreign ladies chanting Ganesha Atharva Sheersha with proper Swaras without a help of book and put me into shame! Indra Lingam Which signifies your Indiriyas (Indra signifies our Indiriyas. Indra is Bhokta of our senses) first we satiate all our wordly desires, by using our Indiriyas in proper manner. Agni Lingam is the Fire, The fire of Knowledge - the wisdom that needs to be nurtured and be lit up through out our journey. Like this Kubera Lingam, Niruthi Lingam, Yama Lingam, Varuna Lingam and finally, Esanya Lingam is merging with the lord. 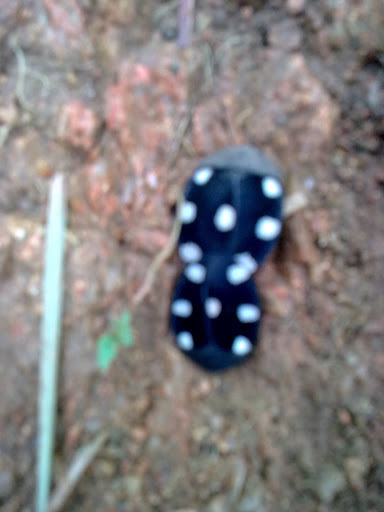 I try and assimilate such essenses thorugh my girivalam. Like this, Bhagavan takes us closer and closer step by step. 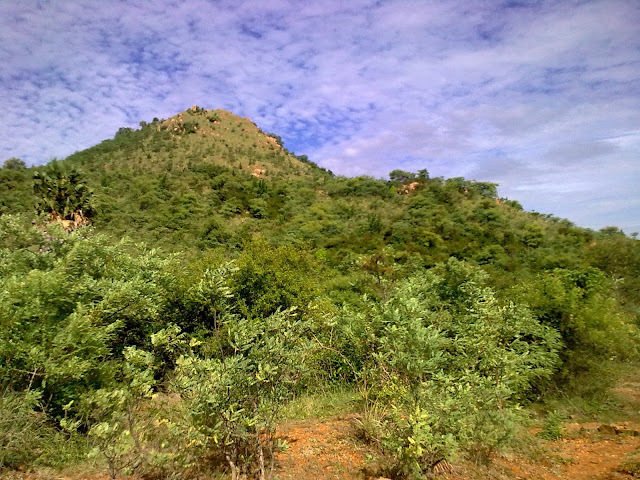 Adi Shankaracharya had written in one Arunachala Ashtottara praising Lord Shiva as Giri Pradakshina Priyaaya Namaha. He is pleased when a devotee does Giri Pradakshinam. Most importantly, whatever agenda we may have, we may plan to do parayanam, sing, talk about Self, etc... finally after some distance, the mind becomes so quiet and focused that it does not think about anything else at all, be it Spiritual topic or otherwise. One always finishes the Girivalam in Silence. I also request other elders here to shed more light into deeper significances of Girivalam. Yes. Even we think to do girivalam,it isnot possible unless Bhagavan calls us. It is my experience. I could not go to Annamalai for various reasons. At that time I used to motivate others to do girivalam. I feel satisfaction when they narrate their experiences. At last Bhagavan called me and I did 5 times. It took 3.30 hours. Before going there I practiced to walk without slipper whenever I leave my house to market. I took the outer path only. Each time it was a new experience. I was thinking I never have a chance to go there but still to day how I did.. it is His grace only. 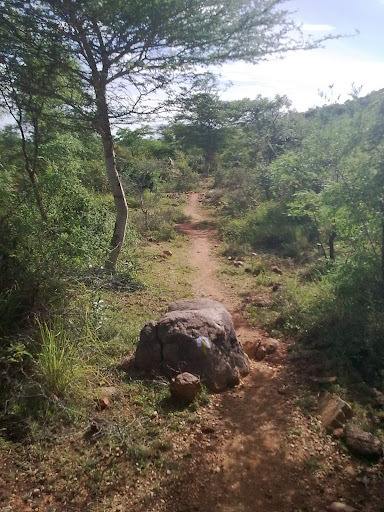 Bhagavan said each stone and pebbles on the path is like a diamond and gems. He said many siddhas may pass in various forms. We should not disturb them. It is individual's faith that is all. As the experiences are still with me as fresh as it is. Once we reached at 8 p.m. It was an ordinary day and we were 3 people wanted to go for girivalam. When we were talking ourselves inside Arunachala temple one gurukkal told suddenly, why do you want to go to night. You have darshan of swami now and tomorrow you can do. We thought, as if Bhagavan is giving some instructions so we dropped the idea.